The founding director of North Star Cruises Australia, Mr Craig Howson, has been awarded the Medal of the Order of Australia for services to tourism in Western Australia. The award was announced in this year’s Queen’s Birthday Honours (June 2016). 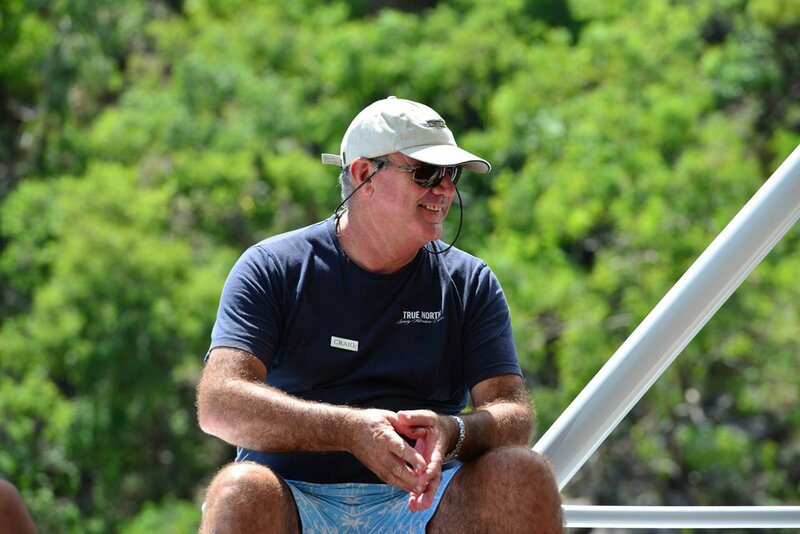 Mr Howson first offered adventure-cruises along Western Australia’s Kimberley coast in 1987 and, in 2017 North Star will celebrate 30 years of successful operations. "It is very humbling to receive this recognition. It makes me realise how fortunate I was to pioneer adventure-cruising in the Kimberley. To see what has evolved from those early days is also very rewarding and I am extremely grateful to those who joined me along the way." An adventure on North Star’s adventure-cruise ship, the TRUE NORTH, has become one of Australia’s most desirable holiday experiences and the offering is also developing an equally revered reputation in international markets. Mr Howson explained that the focus at North Star had always been on giving guests greater opportunity to experience the destination. "We are very different to a big ship holiday. Our itineraries are always activity-based and much more suited to travellers who are looking for a holiday that is also a rewarding experience." "There have been some tough times. It certainly wasn’t easy getting everything up and away and just when we started to gather some momentum – the global financial crisis took the wind out of everyone’s sails. Fortunately we had already developed a loyal following and we never lost sight of making sure that a holiday on the TRUE NORTH was the best holiday that you could ever have!" "Currently we are experiencing another strong sales period and everyone at North Star is looking forward to growing the company." North Star Cruises has won a plethora of awards for excellence including state and national tourism awards, export awards and numerous consumer awards. Media contacts: Email Peter Trembath at tremby@truenorth.com.au and/or phone 041 990 6670.